Elizabeth Spiers is the founder of The Insurrection, a full-service data-driven political and media company specializing in digital strategy, messaging, and targeting. 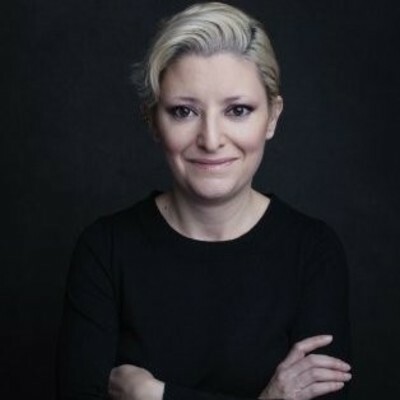 She was previously a digital launch consultant and until Fall of 2012 was the editor in chief of The New York Observer and editorial director of Observer Media Group, where she oversaw the flagship newspaper and its digital analogs, and a variety of ancillary trade and lifestyle publications. You can read about developments during her tenure at the Observer here. Prior to the Observer, she was the founder of Breaking Media, an online media company, which produces DealBreaker (a Wall Street tabloid), AboveTheLaw (a legal tabloid) and Fashionista (a fashion tabloid). As an advisor, clients past and present include Casper, b5Media (acquired by Alloy), Condé Nast, McGarryBowen, and a variety of brands and media companies. As a journalist she has been a columnist at Fast Company and Fortune and contributed to a variety of publications including Matter, Slate, New York Magazine, The New Republic Online, Salon.com, The New York Times, Forbes and The New York Post. She also teaches a new media class for SVA’s Design Criticism MFA program and is a Young Leaders Forum Fellow with the National Committee on United States-China Relations. She was named one of Fast Company’s Most Influential Women in Technology in 2010. She also serves or has served on the advisory boards of Flavorpill Media, Counsyl, OfAKind, Selfie, and Wall Street Cheat Sheet. Prior to Gawker, Spiers was a buy-side financial analyst focusing on small cap tech equities and (prior to that) early stage venture capital. Spiers earned a BA in Public Policy and Political Science from Duke University. She has spoken at various media and technology conferences and been a guest commentator on CNN, Fox News, CBS Marketwatch, MSNBC, VH1 and NPR and guest lectured at Columbia, NYU, Duke and the International Center of Photography.